New Orleans Every time a bridge falls down, we think, darned, what about the infrastructure fixes that were promised by the president and just about everyone else from top to bottom in government. Increasingly though, I’ve come to believe that even though our bridges may be rickety from place to place, basic utilities may be our most vulnerable infrastructure. Sure, New Orleans streets are full of potholes, but boil water advisories have also become commonplace. A generator will fail for an inexplicable reason and shutdown a pump somewhere, and boom, boil water, baby! Yes, New Orleans has a municipal Sewerage & Water Board, but the problem is as often with Entergy, an investor owned utility like so many that dominate this space, and they just can’t get the power to the places we need. They aren’t alone. The backstory on the fires in California is all about Pacific Gas & Electric, PGE, the infamous investor owned utility in that state. Some of these deadly and devastating fires may have been sparked by faulty transformers. Climate change is going to test the infrastructure and response from all utilities, if it doesn’t bankrupt them and us. There were also aged gas lines that had not been replaced. 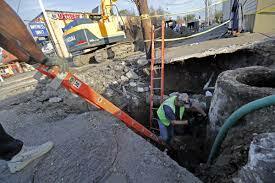 Recently, our neighborhood in New Orleans found sidewalks torn up block by block replacing gas lines. I talked to one of the contractors as they got ready to break up my street. He and his team were from Jalisco, Mexico. They had been working on these contracts since Hurricane Katrina in 2005 and had two or three more years to go. These are basic investments of course, and many of them are just not made so investors can be paid. Entergy refused to put sulfur scrubbers on their giant White Bluff coal plant in Arkansas more than forty years ago, and now they are having to mothball the plant itself, because it would cost billions to do the retrofit now, and, hey, who wants to save a coal-fired plant anymore other than President Trump. Penny wide, pound foolish. Lead continues to be in water everywhere. The largest housing authority in the country in New York City continues to be in denial about dealing with the issue even after their false fix reporting was exposed. Cost money, you know, but the problem is everywhere and too many public authorities are not safeguarding the public. Even modernization of basic utility infrastructure isn’t a cure all. The geek squad claims that the country’s computerized water and other utility systems are easily hacked and could be taken over by anyone with mischief or mayhem on their minds. Folks were asleep at the switch when it came to security. I’ll be honest. I’ve come to depend on basic services and living on the grid. I like turning on the lights and seeing something happen. Turning on the faucet and having a glass of water. Turning on the stove and making the magic happen. Silly me! Turns out in modern America, we’re becoming suckers if we count on these things, unless public and private interests look after our futures and not just their own paydays. New Orleans Phil Mattera has written a quarterly column for Social Policy for the last several years specializing in corporate accountability or the lack thereof. Phil files regular reports to his list, me included, of the Dirt Diggers Digest, to keep us up to date on corporate impunity and shenanigans, as part of the Corporate Research Project of Good Jobs First. This isn’t a new thing for him, but a lifetime pursuit. Many times, he no doubt feels like a voice in the wilderness. Just maybe, that might change, thanks to Amazon of all things. 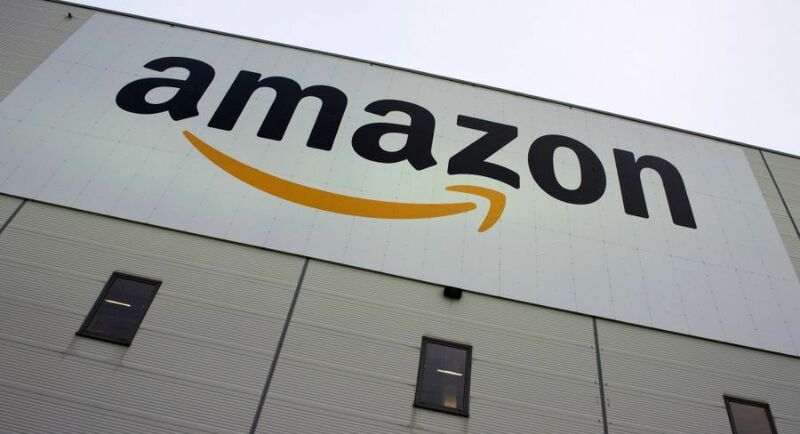 In what has to be a first, the editorial pages of both the New York Times and the Wall Street Journal blasted the multi-billion-dollar tax giveaways that Amazon demanded and was given to locate in New York’s Queens and in the Washington, DC northern Virginia suburbs. Somehow the notion of a trillion-dollar company, one of the richest in the world, run and largely owned by Jeff Bezos, one of the richest men in the world making by some estimates, almost $100 million per day, needing a tax break finally struck them as absurd. Even Nashville coughed up a couple of million in breaks for 5000 support jobs in the show place in this horse race. I’m betting that Phil has already been filing freedom-of-information requests to get the skinny on the giveaways public authorities in cities, counties, and states offered Amazon to be their second headquarters. The report he’ll do on the gazillions that everyone threw at Amazon in this crazy competition will be a barnburner! This competition is crazy, because there’s no proof that it pays except as a corporate donation that just keeps on giving. Wisconsin had been the headliner with its more than four-billion-dollar tax dodge to FoxConn to locate there. Meanwhile, FoxConn has steadily scaled back its promises of new jobs being developed. Let’s see if Scott Walker, the recently defeated governor of that fine state, doesn’t end up as a consultant, representative or board member of the company soon. He’s earned it! Here’s what’s worse. Monkey see, monkey do. Give candy to one corporation, and they all want the same sugar high. Jamie Dimon of J.P. Morgan Chase had already announced that if Amazon came anywhere near where they operated, they would want the same deal. That will not turn out to be an original idea unique to him. Meanwhile, the real story seems clear that tax incentives to businesses often don’t work out. Texas schools lost an estimated $4 billion to the state’s economic development program. Cleveland schools lost $34 million in one year alone. New Jersey is on the hook for a loss of $1 billion. Michigan’s tax credit liability is $9.38 billion over 20 years. Hollywood moves from state to state on this incentives-for-jobs scam. Louisiana was big film country during the Republican Bobby Jindal’s time, and the state loss millions on the deal. Now they are hanging out in Georgia playing the same game. A suburban Louisiana school district just nixed a break for redevelopers of a shipyard, having recently won the power in the state to “just say no” explaining that they really needed the money to support educating students. Between the Amazon and FoxConn farces and the dire need of every level of government for every penny of tax dollars for schools, infrastructure, and basic services, there is a full accounting that might finally be coming due.